Lease term is 36 months at 10,000 miles/year. Amount due at signing is $7,773, which includes $5,789 capitalized cost reduction, $1095 acquisition fee and first month’s payment, but does not include tax, title, tags and $595 processing fee. No security deposit is required. Valid for qualified customers through Mercedes-Benz Financial Services. 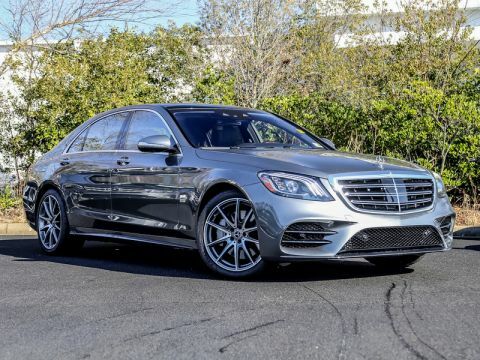 2019 MERCEDES-BENZ S 450 4MATIC IN SELENITE GREY WITH BLACK LEATHER, PREMIUM PKG, SURROUND VIEW CAMERA, VENTILATED SEATS, AMG LINE, DRIVER ASSISTANCE PKG, DISTRONIC PLUS CRUISE WITH STEERING ASSIST, ACTIVE BLIND SPOT ASSIST, ACTIVE LANE KEEPING ASSIST, SPEED LIMIT ASSIST, WOOD/LEATHER WHEEL, 20" AMG® MULTISPOKE WHEELS, REAR SPOILER, BLUETOOTH, KEYLESS GO, MASSAGE SEATS, APPLE CARPLAY, ANDROID AUTO, NAVIGATION, AND MORE! 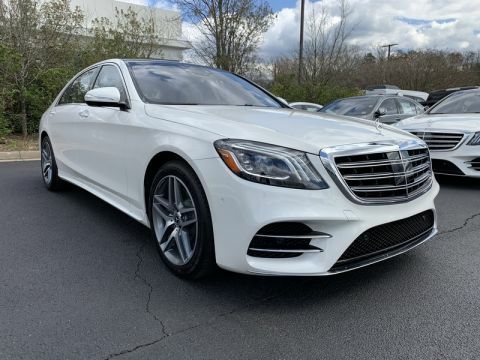 !2019 MERCEDES-BENZ S 450 4MATIC IN SELENITE GREY WITH BLACK LEATHER, PREMIUM PKG, SURROUND VIEW CAMERA, VENTILATED SEATS, AMG LINE, DRIVER ASSISTANCE PKG, DISTRONIC PLUS CRUISE WITH STEERING ASSIST, ACTIVE BLIND SPOT ASSIST, ACTIVE LANE KEEPING ASSIST, SPEED LIMIT ASSIST, WOOD/LEATHER WHEEL, 20" AMG® MULTISPOKE WHEELS, REAR SPOILER, BLUETOOTH, KEYLESS GO, MASSAGE SEATS, APPLE CARPLAY, ANDROID AUTO, NAVIGATION, AND MORE!! 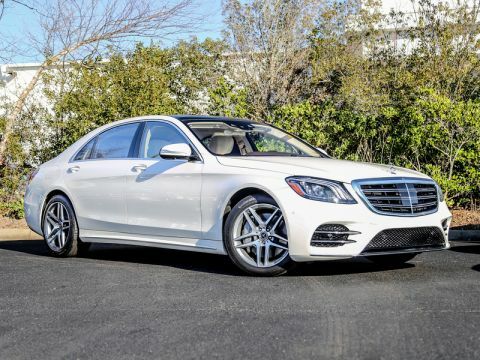 2019 MERCEDES-BENZ S 450 4MATIC IN designo DIAMOND WHITE METALLIC WITH SILK BEIGE LEATHER, PREMIUM PKG, SURROUND VIEW CAMERA, VENTILATED SEATS, AMG LINE, HEAD-UP DISPLAY, DRIVER ASSISTANCE PKG, DISTRONIC PLUS CRUISE WITH STEERING ASSIST, ACTIVE BLIND SPOT ASSIST, ACTIVE LANE KEEPING ASSIST, SPEED LIMIT ASSIST, WOOD/LEATHER WHEEL, 20" AMG® MULTISPOKE WHEELS, REAR SPOILER, BLUETOOTH, KEYLESS GO, MASSAGE SEATS, APPLE CARPLAY, ANDROID AUTO, NAVIGATION, AND MORE! !2019 MERCEDES-BENZ S 450 4MATIC IN designo DIAMOND WHITE METALLIC WITH SILK BEIGE LEATHER, PREMIUM PKG, SURROUND VIEW CAMERA, VENTILATED SEATS, AMG LINE, HEAD-UP DISPLAY, DRIVER ASSISTANCE PKG, DISTRONIC PLUS CRUISE WITH STEERING ASSIST, ACTIVE BLIND SPOT ASSIST, ACTIVE LANE KEEPING ASSIST, SPEED LIMIT ASSIST, WOOD/LEATHER WHEEL, 20" AMG® MULTISPOKE WHEELS, REAR SPOILER, BLUETOOTH, KEYLESS GO, MASSAGE SEATS, APPLE CARPLAY, ANDROID AUTO, NAVIGATION, AND MORE!! 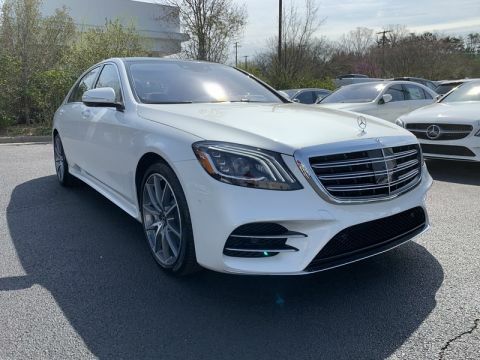 2019 MERCEDES-BENZ S 560 4MATIC IN DESIGNO DIAMOND WHITE METALLIC WITH SILK BEIGE NAPPA LEATHER, PREMIUM PKG, SURROUND VIEW CAMERA, VENTILATED SEATS, AMG LINE, HEAD UP DISPLAY, DRIVER ASSISTANCE PKG, DISTRONIC PLUS CRUISE WITH STEERING ASSIST, ACTIVE BLIND SPOT ASSIST, ACTIVE LANE KEEPING ASSIST, SPEED LIMIT ASSIST, HEATED STEERING WHEEL, 19" AMG® WHEELS, REAR SPOILER, BLUETOOTH, KEYLESS GO, MASSAGE SEATS, APPLE CARPLAY, ANDROID AUTO, NAVIGATION, AND MORE! !2019 MERCEDES-BENZ S 560 4MATIC IN DESIGNO DIAMOND WHITE METALLIC WITH SILK BEIGE NAPPA LEATHER, PREMIUM PKG, SURROUND VIEW CAMERA, VENTILATED SEATS, AMG LINE, HEAD UP DISPLAY, DRIVER ASSISTANCE PKG, DISTRONIC PLUS CRUISE WITH STEERING ASSIST, ACTIVE BLIND SPOT ASSIST, ACTIVE LANE KEEPING ASSIST, SPEED LIMIT ASSIST, HEATED STEERING WHEEL, 19" AMG® WHEELS, REAR SPOILER, BLUETOOTH, KEYLESS GO, MASSAGE SEATS, APPLE CARPLAY, ANDROID AUTO, NAVIGATION, AND MORE!! 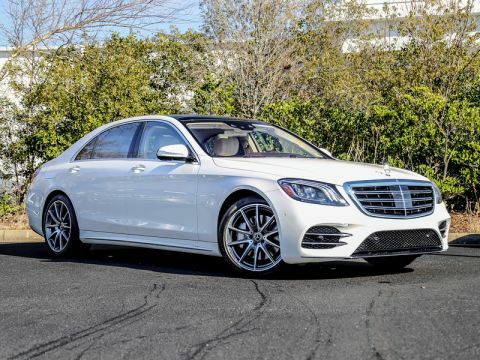 2019 MERCEDES-BENZ S 560 4MATIC IN DESIGNO DIAMOND WHITE METALLIC WITH SILK BEIGE NAPPA LEATHER, PREMIUM PKG, SURROUND VIEW CAMERA, WARMTH AND COMFORT PKG, VENTILATED SEATS, AMG LINE, DRIVER ASSISTANCE PKG, DISTRONIC PLUS CRUISE WITH STEERING ASSIST, ACTIVE BLIND SPOT ASSIST, ACTIVE LANE KEEPING ASSIST, SPEED LIMIT ASSIST, HEATED STEERING WHEEL, 20" AMG® WHEELS, BLUETOOTH, KEYLESS GO, MASSAGE SEATS, APPLE CARPLAY, ANDROID AUTO, NAVIGATION, AND MORE! !2019 MERCEDES-BENZ S 560 4MATIC IN DESIGNO DIAMOND WHITE METALLIC WITH SILK BEIGE NAPPA LEATHER, PREMIUM PKG, SURROUND VIEW CAMERA, WARMTH AND COMFORT PKG, VENTILATED SEATS, AMG LINE, DRIVER ASSISTANCE PKG, DISTRONIC PLUS CRUISE WITH STEERING ASSIST, ACTIVE BLIND SPOT ASSIST, ACTIVE LANE KEEPING ASSIST, SPEED LIMIT ASSIST, HEATED STEERING WHEEL, 20" AMG® WHEELS, BLUETOOTH, KEYLESS GO, MASSAGE SEATS, APPLE CARPLAY, ANDROID AUTO, NAVIGATION, AND MORE! !